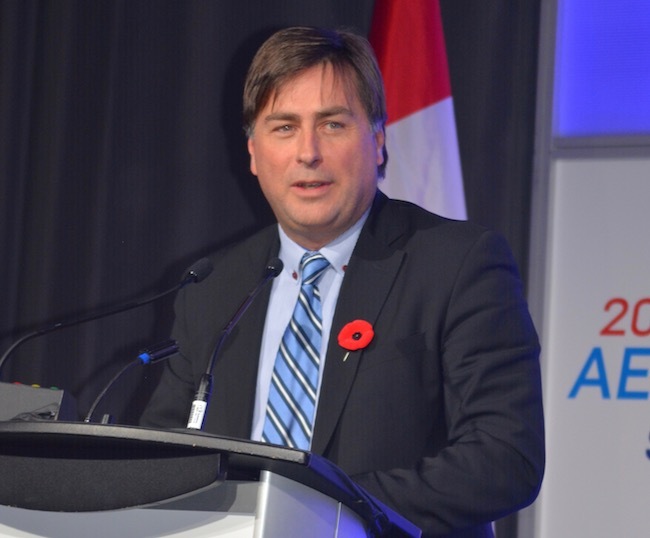 The Aerospace Industry of Canada’s 2017 Aerospace Summit took place Nov. 7-8 in downtown Ottawa and this year’s event more than lived up to its billing as one of Canada’s must-attend events. The theme this year was “Global Perspectives on Aerospace Innovation and Technology” – a key policy priority for the Canadian government and one of the ongoing initiatives and strategic goals of aerospace companies both here and abroad. Thought leaders from several Canadian and international aerospace OEMs shared their perspectives on what it means to innovate, how their individual firms are dealing with rapidly changing technologies and how they are finding better and more efficient solutions to collaborate and develop ways for supply chains to enhance productivity. Other touch points included how corporations are finding ways to enhance their corporate cultures and seek ways to diversify product offerings while implementing more efficient processes and procedures. Big data, artificial intelligence, cyber security, the Internet of things, unmanned systems, incorporating 3D printing applications into operations and more – it is indeed an intriguing playing field. Thought leaders also stressed the need to diversify talent pools, collaborate in new team environments and incorporate varying perspectives in the development of solutions to new challenges. Highlights from the first day included an eye-opening discussion from retired major general Robert E. Wheeler on cyber terrorism and its potential negative impacts in the aerospace industry. Another key session detailed how Canadian OEM CAE has transformed its business model from being solely a simulation developer to becoming a leading training partner in global commercial aviation. There was also a lively panel from small business leaders in Canadian aerospace highlighting the challenges they face in growing their businesses both here and abroad. At the annual aerospace dinner that evening, Pratt & Whitney Canada’s Benoit Beaudoin and its operations team were named the 2017 recipient of the James C. Floyd Award for aerospace achievement. Day Two of the program highlighted overcoming challenges in the face of a potential downturn – a “return to strategy” emphasis for corporations having to deal with issues such as geo-political conflict, digitization and keeping up with the “deliver, deliver, deliver” realities of the business. Highlights included an excellent leadership panel with Jonathan Lee Obst, managing director, Rockwell Collins; Charles Bouchard, chief executive, Lockheed Martin Canada; Bell Helicopter Textron Canada president Cynthia Garneau; and David Curtis, president and CEO, Viking Air. 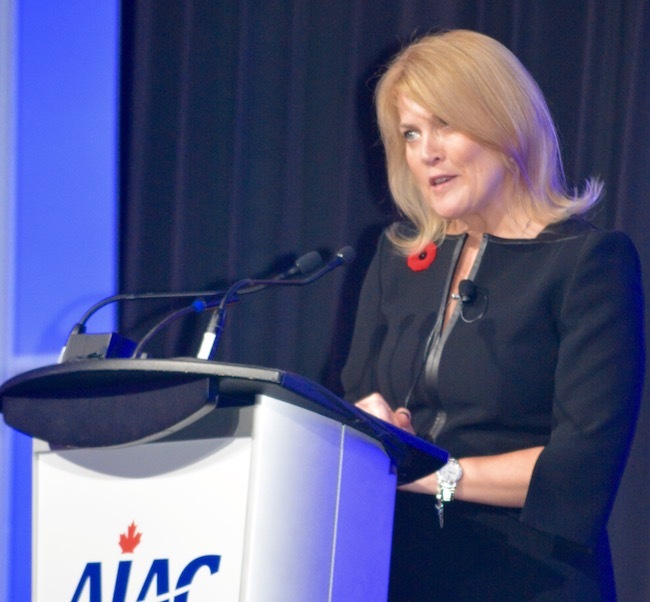 Earlier in the conference, Garneau was named the new AIAC chair, succeeding IMP Aerospace & Defence president David Gossen, and she encouraged industry to leverage the talents of all Canadians to overcome future challenges. As Garneau says it’s “all about being fearless – failing fast and fixing fast” in all realms. Show favourite, Manfred Hader, senior partner from Roland Berger, was back by popular demand, and he shared his perspectives on the future of the market, detailing how the reversal of globalization will present challenging times ahead for all OEMs in the global aerospace industry. The event wrapped up with a “TSN sports desk-style” interview by AIAC president/CEO Jim Quick of the honourable Navdeep Bains, minister of innovation, science and economic development. The federal Liberals have taken a very active role in ensuring the Canadian aerospace industry remains strong and Bains reiterated the government’s ongoing commitment to growing the Canadian space and aerospace markets on all levels. 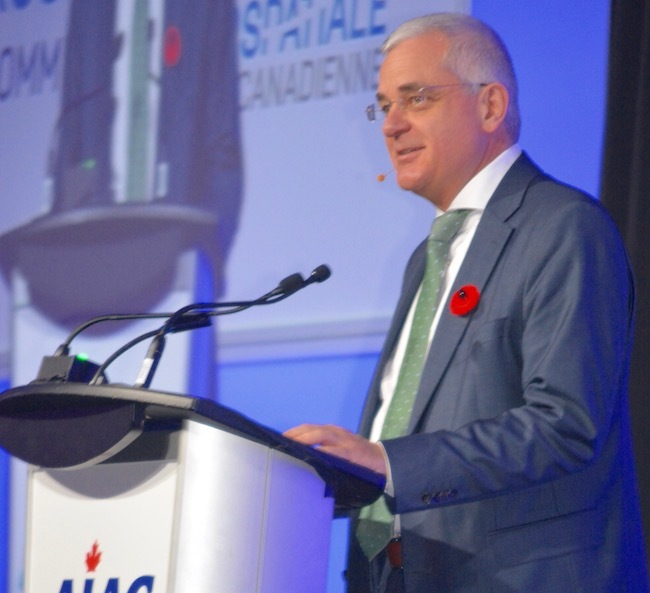 Much like the industry it covers, this year’s AIAC Canadian Aerospace Summit certainly punched above its weight in many key areas. Kudos to the AIAC team and all of the inspiring thought leaders – innovation indeed. In spite of challenges and threats from varying sources, the future is indeed bright for the Canadian aerospace industry on so many levels.